Allama Iqbal College of Physiotherapy Admission 2018 open and students who wants to get admission here, get complete detail online free from here. Allama Iqbal College of Physiotherapy AICP is one of the top private medical colleges in Pakistan, which is prominent due to its quality education in the field of physiotherapy. 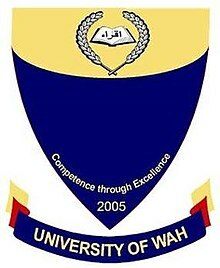 This medical college is recognized by Higher Education Commission of Pakistan. AICP was established in 2008 with the vision of to promote excellent education in the field of physiotherapy. This educational center has been best involved in offering high quality of educational services under highly qualified staff members. This is a complete medical educational institution that offer the studies schedule as 6 times in a week. 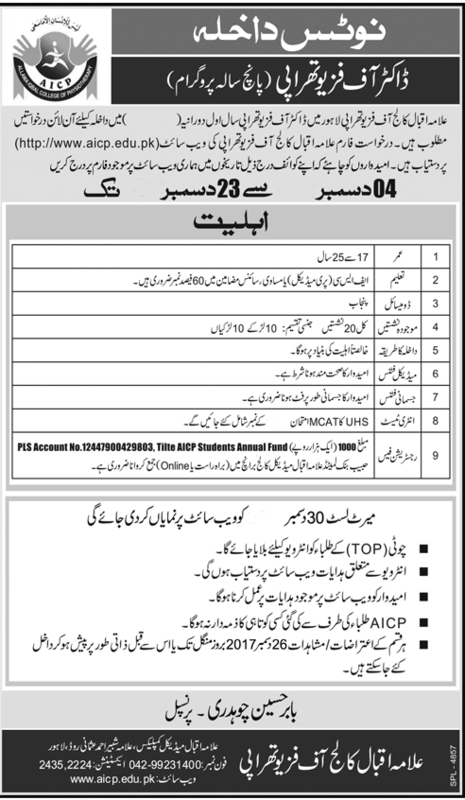 Allama Iqbal College of Physiotherapy is a famous college & Total number of seats are 20. Ten seats are reserved for boys and 10 are reserved for girls. You must now make your way to the future record of the practical life. The students must now make their momentum fast for the admissions in the department of physical therapy. Admission will processed on 100% merit base. Interested candidates who are in the favor of getting admission in the department of physical therapy. 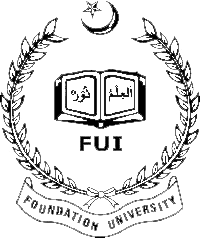 The people who are willing to carry out their future for this department must apply now at this institute. Candidate’s age must be between 17 to 25 years. Candidates must be medically and physically fit. Candidate must have got at least 60 % marks in F.Sc Pre Medical or any equivalent exam. 40 percent seats are reserved for Lahore and 60 percent for all other cities. It is very easy to apply in this college, you get complete application form online free from this page. 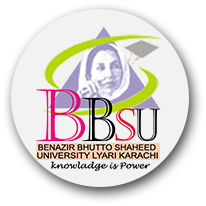 Students who are interested to get admission here, should apply on time. 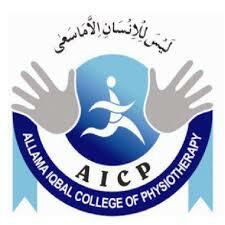 Allama Iqbal College of Physiotherapy is an oldest college which gives all type of facilities to its all students. The educational and career opportunities for students interested in physical therapy have grown and expanded in the past few decades. Physiotherapy professionals are in higher demand than ever before, helping an aging population live full and healthy lives, and working to help those with injuries recover their range of motion or those with physical disabilities. Originally developed as a treatment for wounded soldiers in World War I, physical therapy is now one of the fastest-growing professions.